Six hundred twenty-five patients were included, 43(6.9%) developed delayed symptoms related to biliary disease. Of these 43 patients, 39 underwent post-LRYGBP CCE. Of these 39 patients, 9 (7.5%) had a positive ultrasound prior to LRYGBP. 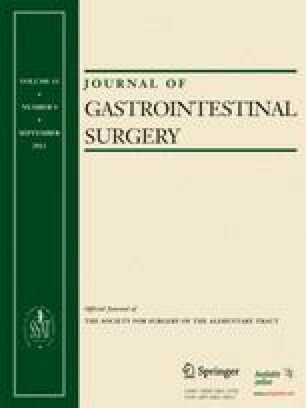 Multivariate analysis identified weight loss at 3 months post-LRYGB of more than 50% of excess weight [HR (95% CI), 2.04 (1.04–4.28); p = 0.037) as the sole significant independent predictor of delayed symptomatic cholecystolithiasis.